The ongoing military operation in Zamuran, Dera Bugti and Naseerabad areas of Occupied Balochistan has claimed over two hundred state enforced disappearances of Baloch citizens, including women and children, and six deaths. Zamuran area of district Kech in under heavy military operation since four days. Whole the area is sieged and telecommunication is blocked. In the meanwhile the military operation in Dasht area of Kech is continuing through a third month now. The towns of Mand, Tump and Gomazi have been subjected to military action since early January this year. Dozens of residents of Mand, Tump and Gomazai have been abducted during the crackdown by the Pakistani army. Pakistani forces have abducted eight Baloch women along with nine children from Naseerabad. Some of the abducted identified so far are Naz Khatoon wife of Chakkar Bugti, nine months old Ramzan son of Chakkar Bugti, three years old Hameed son of Chakkar Bugti , Bakhto Bugti wife of Siddiq Bugti, Zar Naz daugter of Siddiq Bugti. 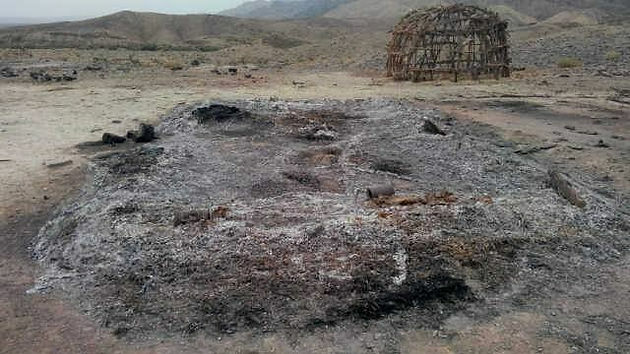 In the Och area of Sui, Dera Bugti several Baloch men were massacred execution-style by Pakistani forces. The victims were identified as Rehan son of Lashari Bugti, Gul Muhammad son of Yaqoob Bugti, Qadu son of Gunra Bugti, Pehlo son of Bari Bugti, Ghafoor son of Sawali Bugti and Mehwa son of Pehr Din Bugti. The BNM condemns Pakistan's policy of genocide against the Baloch nation and appeals to the World Powers, the United Nations and Human Rights Defenders everywhere to stop the rogue state of Pakistan from carrying out another Bangladesh Genocide. If a tree falls in a forest, it does make a sound and there is a change in its state; the media's failure or its deliberate avoidance of reporting Pakistan's crimes against humanity in Occupied Balochistan is further aggravating the situation in Balochistan where state enforced disappearances, torture and killings have become a daily occurrence and the International Community's aloofness is allowing Pakistan to once again, get away with genocide.